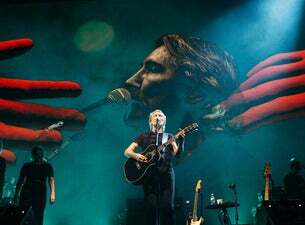 Roger Waters co-founded the progressive rock band Pink Floyd in 1965 with drummer Nick Mason, keyboardist Richard Wright, and guitarist, singer, and songwriter Syd Barrett. Waters initially served as the group's bassist, but following the departure of Barrett in 1968, he also became their lyricist, co-lead vocalist, and conceptual leader. Waters’ first solo album in 25 years, Is This The Life We Really Want?, is a full-on political rock album, recorded with the help of Radiohead producer Nigel Godrich. Waters is now bringing his pioneering Us + Them Tour to the UK next summer – including a set at London’s British Summer Time at Hyde Park on 6 July. The show will feature tracks from Pink Floyd’s greatest albums The Dark Side of the Moon, The Wall, Animals, Wish You Were Here and more, plus new songs from his latest album.